Whether you are looking to buy or sell Lake Norman Real Estate, find information about Mooresville or Iredell County, our site has it all! The BT Homes Group is one of the most successful real estate teams in the Lake Norman area, with a team of agents available 7 days a week to help you buy or sell Lake Norman Real Estate. Let us show you the BT difference and what allows us to help over 100 clients each and every year! Get Lake NormanReal Estate Listings. Be sure to take advantage of Lake Norman's most tech savvy real estate website! Get set up on our BINS system (Buyer Instant Notification System) and have Lake Norman real estate listings automatically emailed to you as soon as they hit the market! 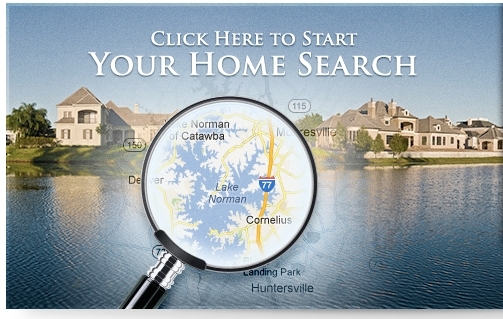 Or search for Lake Norman real estate on the most advanced Real Estate MAP Search around! Looking for HOMES FOR SALE IN MOORESVILLE, NC? Relocating to the Lake Norman area? Moving to Lake Norman? Please be sure to request a relocation package! Let us help you learn about Lake Norman restaurants, things to do, book hotels, area marinas and much, much more. The market has changed and is shifting back toward a 'sellers market' in many areas. Curious to know what your Lake Norman home is worth? Our online system will provide you with a range of value. If you desire a more accurate and complete assessment, let us provide you with a free in-home consultation. It will be complete with market data as it pertains to your home, a detailed marketing plan and other important information that would increase the saleability of your property. You deserve the advice of a Lake Norman real estate professional that is on top of the market and is prepared to protect your interests and guide you throughout the process. As Lake Norman real estate experts, we are constantly researching the market and analyzing home prices so we can serve you with the latest and most up to date and accurate information. Tried to sell previously and failed? We are confident that we can suggest new and innovative ideas to assist you in generating a sale on your property. Yes, even in a challenging market, there continue to be fresh ideas and new venues of marketing real estate that will increase your chances of generating a buyer. If you have suggestions, concerns, or just general real estate questions, our lines of communication are always open. Looking for Investment Properties, Short Sales or Foreclosures? With our in-depth knowledge and expertise in Lake Norman short sales, foreclosures and REOs, we can significantly increase the chances of locating a property that suits your needs. We service all of the Lake Norman area including: Mooresville, Huntersville, Cornelius, Davidson, Denver, Troutman, Sherrills Ford, Terrell, Concord, Statesville and other surrounding areas! We represent all property types such as: waterfront homes & land, waterview homes & land, golf course homes & communities, luxury homes, townhomes, condos, 1st time homebuyers, 55 and over communities, builders, Bank Owned Properties, investment properties and more!! This is about MORE than real estate. It is about YOUR LIFE AND YOUR DREAMS!! Click on one of our services to see what The BT Homes Group can do for you. We look forward to serving your Lake Norman real estate needs!